It's a thoroughly modern dilemma: Finding information on the Web is easier with a PC--but for bringing that data with you, nothing beats a smartphone. Google has come up with a great way of moving the info you need from your computer to an Android handset. Download the Chrome to Phone extension for the Chrome browser and the matching app for your Froyo-powered smartphone (both programs are free), and then follow the instructions to link the app to your Google account. The next time you discover a Web page, phone number, map, or YouTube video that you want to access on your phone, simply click a button in the Chrome toolbar. Within seconds, the data shows up on your phone. There's something about a list that the average Web surfer just can't resist. Those numbered nuggets of snarky opinion draw us in every time. 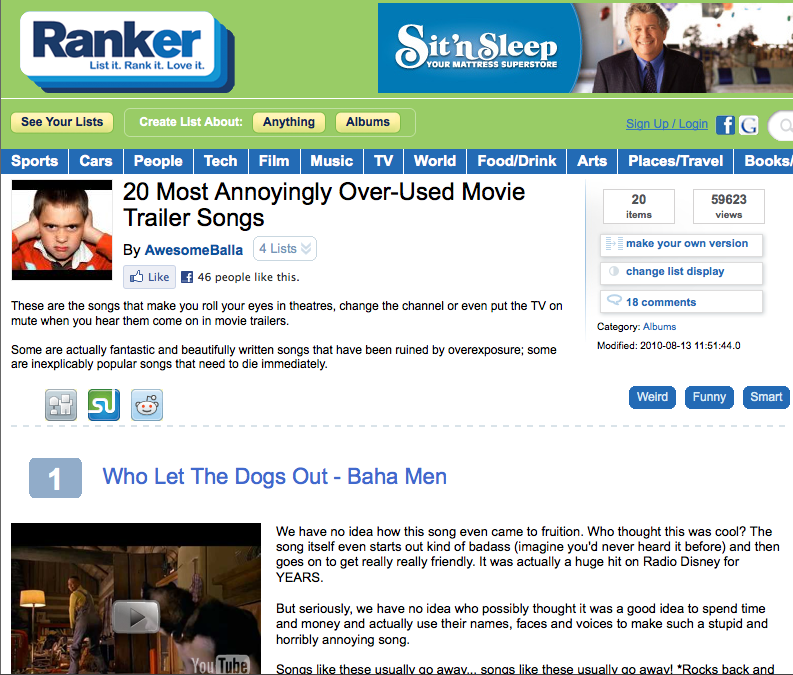 Ranker, in fact, has built a whole site around lists. You can browse lists created by other users ("Top 10 Muppet Mashups," "Literary Classics You Should Pretend You've Read," and "Most Selfish Professional Athletes" are just a few choices), or you can use Ranker's free tools to create your own list. Coming up with new ideas takes creativity. Making those ideas a reality, however, takes hard work and lots of organization. If you need to keep a complicated project on schedule, the free Gantto online service is worth a try. As its name implies, the site helps you produce detailed Gantt charts with bars tracking the progress of your project's individual tasks. Gantto's interface is a little clunky and requires more clicks than I would like, but it allows you to track an impressive amount of detail in depth.